History: Izanagi Otsutsuki is the progenitor of the Yuki Clan. The man who is known as the Prince of Blood Winter, played a prominent role within the Otsutsuki clan. The man was blessed with the Byakugan, but with his bone pulse capabilities lying dormant. Izanagi instead excelled with the use of another Kekkei Genkai. One which allowed him to create and manipulate Ice/Snow. This was done through use of the Wind and Water release natures. Izanagi himself had a great relationship with humans. Often tutoring some at the great Otsutsuki temples. But peace would not last for long, for with the attacks by humans on the temples. The mission his father gave to him was ever more critical. Izanagi was no doubt a champion and protector of the Otsutsuki clan. At the same time though, the man held a soft spot for humans on a whole. During his ascension to power, his infamy grew along with his reputation. Still, his abilities remained a mystery to most. Izanagi over time had children with humans and women from the Otsutsuki clan alike. And it was his children who made the now Yuki clan stand apart from others. His children inherited his ability to utilise Ice release. Their abilities also varied, not that it mattered much. The Yuki clan became a servant of the Land of Water. Where most of the Otsutsuki clan remained and ruled. Clan members naturally have a body heat of below freezing and therefore are virtually immune to cold weather. The clan members are capable of drastically reducing their body temperature, to the point of freezing other objects or persons on contact. (Techniques, not passively). Users begin with Water and Wind release. Ice release has an elemental advantage on Fire, Blaze release, and Scorch release. Ice release techniques gains an increase in power according to rank. +60 B-rank, +100 A-rank and +200 S-rank. Please refer to elemental advantages system when creating jutsus. 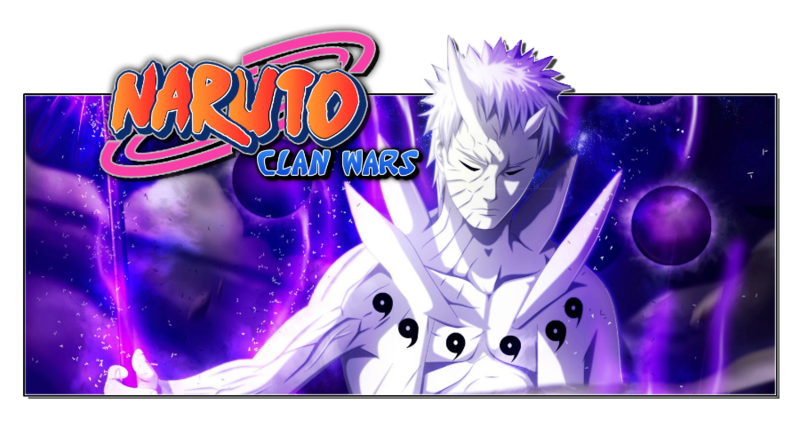 Yuki clan members can have their Kekkei Genkai build up resistance to other substances. As such, the temperature becomes so extreme, that melting/breaking the ice becomes far more challenging. +100 to technique endurance/durability. Costs 5000 Ryo. 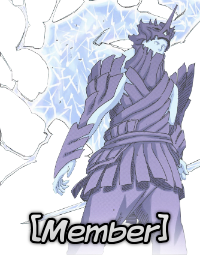 Description: Ice Release (氷遁, Hyōton, Viz: Ice Style) is the combined nature transformation kekkei genkai of the Yuki clan. It allows the user to freely create and manipulate ice by simultaneously combining wind and water-based chakra. When the user releases their chakra, the surrounding vicinity becomes cold enough to cause snow to fall. The ice the user creates is also extremely resistant to fire-based attacks, only melting slightly when coming into contact with flames. Description: Using this technique, the user gathers some water from the air and surrounding environment into one thousand foot long needles. He then directs them to a specific target at high speed, leaping backwards before impact so he doesn't get caught in the crossfire. While the needles do surround the user and the target from all sides, they don't appear above the target, thus creating an escape route. Combination: The user may fire these from the Demonic Mirroring Ice Crystals. Description: An abominable and tremendous ability, it was passed down only within the Yuki clan. It is a technique wrapped up in many mysteries. It was said that no method in existence can defeat this technique. In an instant, multiple mirrors of ice are created around the enemy, reflecting nothing but the user. The opponent is trapped in a dome of twenty-one floating mirrors made out of ice. Twelve remain at ground level, eight float above the first twelve and angled towards the ground, and the final mirror is above the rest and facing the ground. Once the user has entered the mirrors, it's possible for him/her to move between the mirrors at exceedingly high speed levels. These mirrors regenerate within the turn they are destroyed when destroyed. If the mirror Haku is in is broken, he can leap out of one of the fragments and continue his attack or move to another mirror. The technique requires a large amount of chakra to maintain, so Haku's movement becomes progressively slower the longer he maintains the mirrors. Loses +50 speed boost after 3 turns, loses 30 speed stat thereafter. Until the technique ends. Haku can also form individual mirrors, not restricted to the twenty-one-mirror formation. He can create them high in the sky allowing him to take out airborne targets. The cold which emanates from the mirrors is also enough to cause snow to fall. The temperature inside the dome can reach to below freezing, depending on the skill level of the user. Though they are made from ice, the mirrors are resistant to Fire Release techniques. Description: The user unleashes giant spikes made of ice, capable of piercing through the entirety of a cottage. The ice spikes rises up to 70 meters tall, and five meters wide. The manner in which the spikes rise may also be controlled by the user. Range of the technique can also be increased depending on surrounding water sources. Combination: Ice Release, Water release. Description: This technique allows the user to infuse their chakra with ice on the ground and bring it to the surface. The user can then trap their opponent within the ice by controlling its movements and completely surrounding them in the ice. It is strong enough to withstand basic Fire Release techniques, because the ice has already been infused with the user's chakra. The user can also surround themselves with the ice prison to act as a shield.